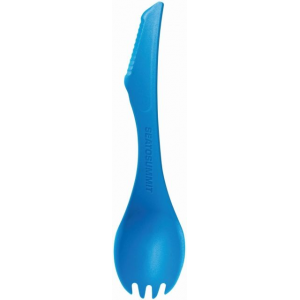 The Sea to Summit Delta Spork with knife is the perfect all meal utensil for the trail. It is a fork, spoon, and knife all in one. 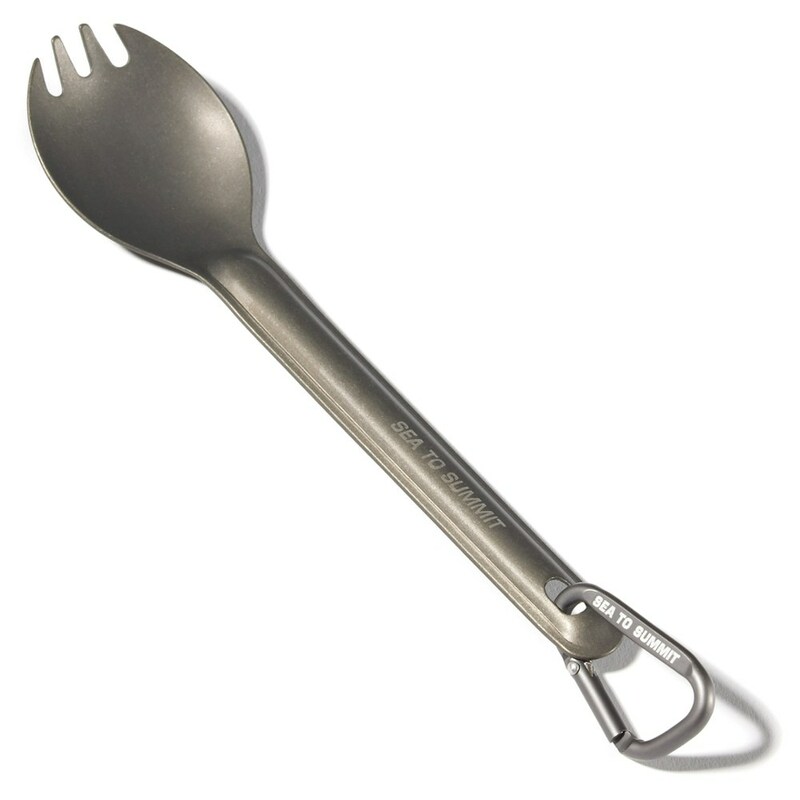 Since I got my spork, I have brought it on all of my backpacking trips. 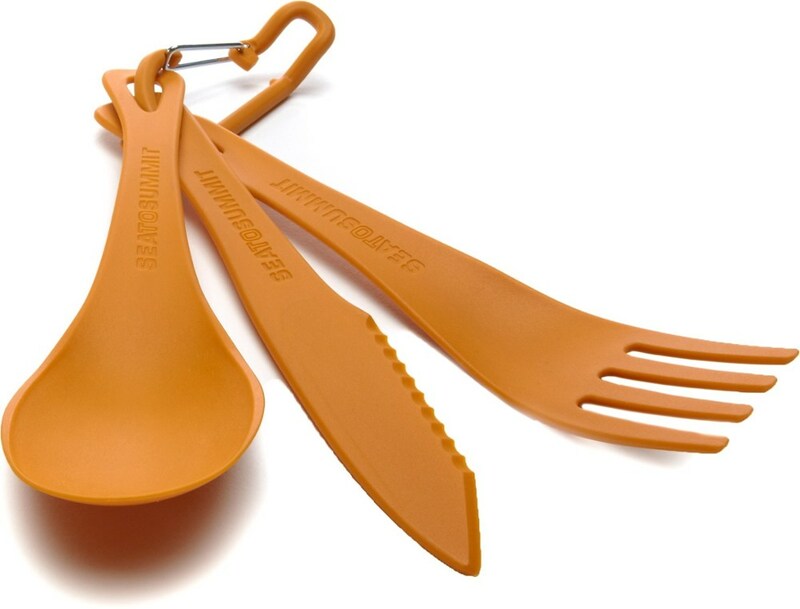 It eliminates any need to bring three separate utensils and instead combines them all into one lightweight plastic alternative. The only downside to its design is that it gets a little bit messy when you switch from using one end to the other. I have to make sure not to get whatever I'm eating all over my hand. 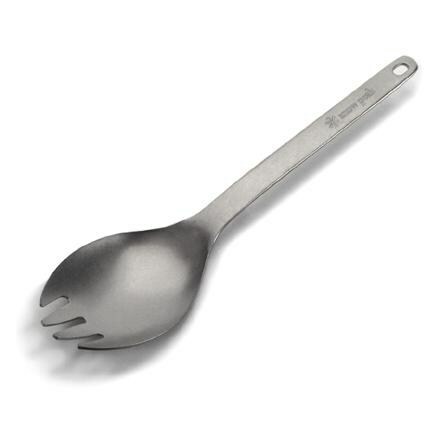 Other than that though, this spork has helped to minimize my cook set and is very durable so as to withstand many meals. 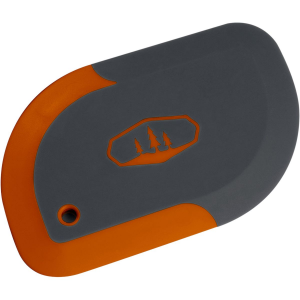 I have the orange version, but it also comes in blue and silver. Thanks for the review, Graham!